Flory De Colt 5' offers many installation possibilities. Drop-in, tile flange & skirted for installation between three walls. 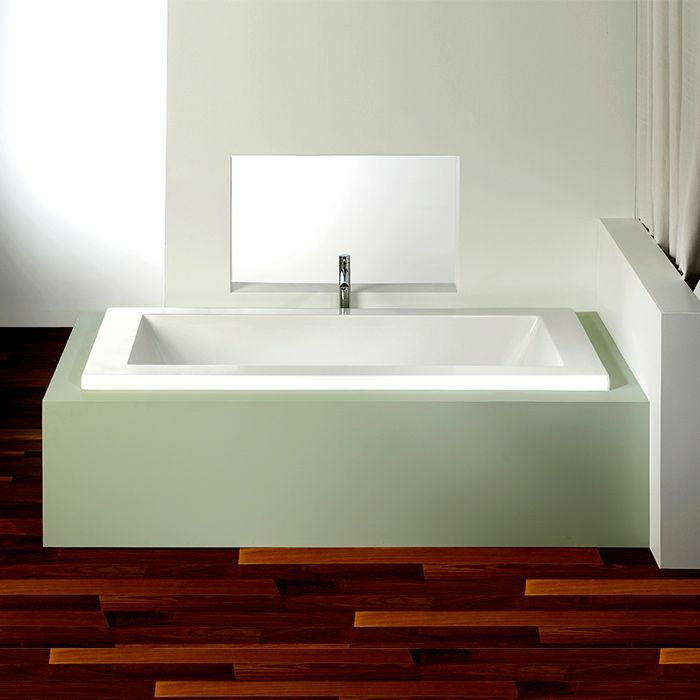 Drop-in bathtub with end drain. End drain bath with tile flange. End drain bath with tile flange and front skirt.